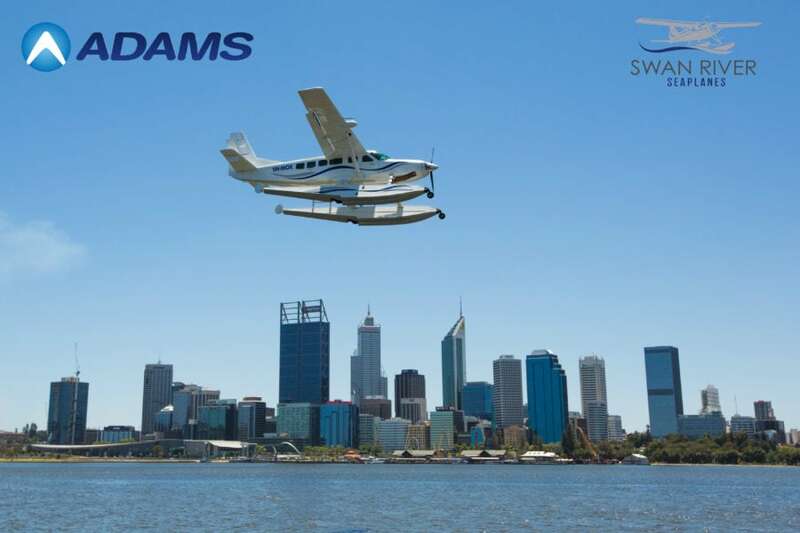 In what’s seen as a huge boost for the Western Australian tourism industry, Swan River Seaplanes has expanded their operations and partnered with multi-award-winning operator, ADAMS with several new itineraries. Following a successful trial period of Margaret River Day tours earlier this year, Swan River Seaplanes, will recommence operations next month. Running an expanded programme of day and overnight tours from its Swan River base including the new Rottnest Island and the Pinnacles with ADAMS conducting the professional ground component of the new tours. “On behalf of all the team at ADAMS we are thrilled to announce this partnership with Swan River Seaplanes. ADAMS are the largest tourism transport operator in Western Australia and our team are passionate about delivering an extraordinary and unforgettable experience to visitors from around the globe. The addition of Swan River Seaplanes to both Rottnest Island and the Pinnacles desert is a massive step forward for new and inspirational product offering in the state.” said ADAMS Managing Director, Adam Barnard. Swan River Seaplanes and sister company Horizontal Falls Seaplane Adventures are the only commercial amphibious seaplane operators in Western Australia and unlike conventional fixed wing scenic flights which fly at 2000ft from the ground, the amphibious seaplane can legally fly as low as 150m, giving passengers an ‘up close and personal’ experience of the State’s landscape like never before. Swan River Seaplanes decision to expand beyond the initial six-month trial period was based on extensive research which showed a substantial gap in the market for higher-end tourism products from Perth, as well as a growing demand for unique experiences particularly from well-heeled Asian luxury travellers who are starting to dominate the Australian market. The company worked closely with Tourism WA to make sure that its vision complemented the body’s growth strategies. “We’re passionate about tourism and we really hope that by opening up new opportunities to create memorable experiences in WA, we’ll create greater awareness about our State’s many beautiful and diverse attractions and make a positive contribution to growth in the region,” said Swan River Seaplanes co-owner, Kristy Bailey. Feedback from their inaugural season offering Margaret River Day Tours in partnership with Top Drop Tours was overwhelmingly positive and Bailey expects their five-star rating on online travel sites to add impetus to their new offering. The company will continue Margaret River Day Tours and also offer 3 and 4 day Margaret River Retreats in addition to the new range from its South Perth base. Taking off from the Swan River, guests experience aerial views of the Perth city-scape, Kings Park and the WA coastline on all tours. For media enquiries please contact Kristy Bailey, Swan River Seaplanes on 0408 020 886 | [email protected].